Combine all the ingredients in a small, heavy bottom pot. Use a wire whisk to thoroughly blend the egg yolk into the cream mixture. Over medium heat, continuously stir the mixture until it reaches at least 160 degrees. The mixture will be starting to steam and boil at about this point. Remove the pan from the heat one the correct temperature has been reached. Divide the mixture into 4 equal portions, about ¼ cup or 62g each. 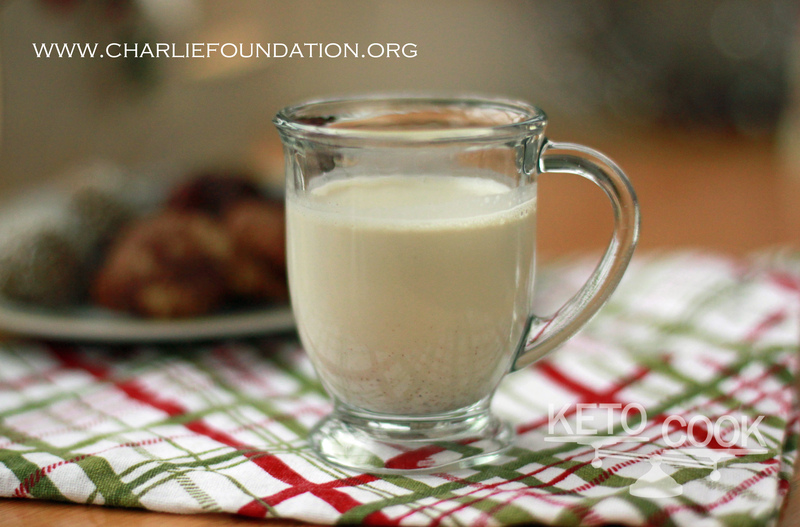 Serve the eggnog while still warm or store in the refrigerator tightly covered. Use espresso mugs to serve smaller portions.